Updated: August 6, 2014 at 5:58 p.m. The West Virginia GOP has canceled an event where a conservative scholar would have spoken four days before his sentencing for federal campaign finance violations. State Republican Party Chairman Conrad Lucas says the September 19 Victory Dinner featuring Dinesh D'Souza in Charleston is canceled. He says the event will be rebooked. Original Post Published: August 6, 2014 at 12:47 p.m.
A conservative scholar and author will headline a West Virginia GOP event four days before his sentencing for federal campaign finance violations. 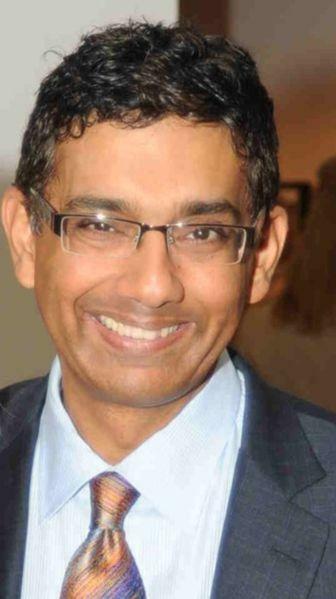 A state Republican Party news release says Dinesh D'Souza will speak at the party's annual Victory Dinner on September 19 in Charleston.